The Chinese language can seem quite scary and feel difficult if you don’t have the right tools to help you simplify the learning process. If you decided to give it a try, before you start learning Chinese writing, you need to know how to write the characters first. This is where the right educational app can help you. For all of you, we discovered one great app for learning to write the Chinese characters and learn their order easily, directly on your phones. Let’s see what the app is all about. The Chinese Strokes Order is certainly one quite useful and helpful educational app to learn the Chinese strokes writing effortlessly. Developed for IOS users as one easy to use and simple cross-platform learning tool, this app allows users to easily learn the Chinese strokes and their order, helping them learn how to write the characters before they start learning the Chinese writing. Users on the app will be able to learn the strokes, their orders and the logic behind the radicals. With the app, users will make their Chinese learning a lot easier and use the simplest ways to learn the characters, their meaning and writing. This educational tool for learning Chinese writing is allowing users to use amazing features that will help them with learning the Chinese characters and their writing efficiently and quickly. 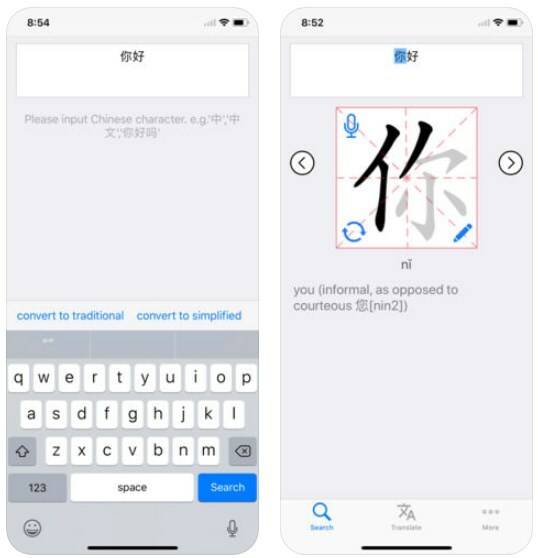 Users on the app have the chance to easily learn the Chinese strokes and their order directly on their phones, whenever they want. With the help of the app users can learn how to write the strokes, how to recognize them and even learn the meaning of each stroke they learn about. Only with typing the character the app is quickly giving the users the animated order of that stroke. Users that have problems with keeping up with the speed of the strokes can change the speed in the app’s settings. This app is useful and helpful for learning calligraphy and visualization of strokes and also it supports the both versions of Chinese, the simplified and the traditional. With the simplest ways and tools offered, users will certainly learn writing the Chinese characters before they even start learning the Chinese writing. Download it on App Store now for free to learn how to write and recognize the Chinese characters!